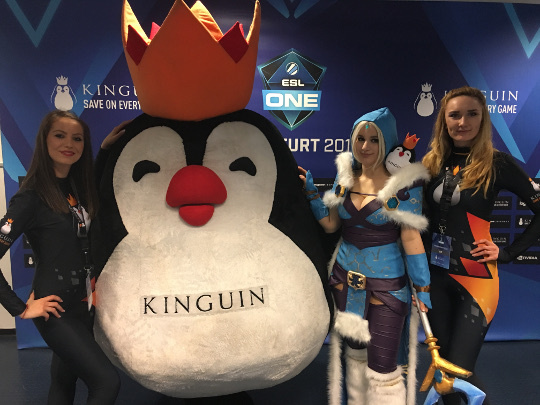 Blog | News from Kinguin.net - Tune in for ESL One New York discount and giveaway! Tune in for ESL One New York discount and giveaway! ESL One New York is closing in! For all those of you who don’t know what’s that - it is one of the biggest CS:GO tournaments in the world. It takes place between Oct. 1-2 at Barclays Center in Brooklyn. During the 2 days of the tournament you will have a chance to witness the most intense, most keeping-you-at-the-edge-of-your-seat and most ferocious matches taking place in a massive arena. The Barclays Center will be basically overflowing with fantastic eSports spirit. Are you already encouraged? Well, what if we told you that Kinguin prepared a fantastic discount for you? Spend $19.99 on Kinguin.net and get a 20% discount on your ESL One NY tickets! But that’s not all folks! Apart from the 20% discount, you will also be able to win two Premium tickets to the event! Now how cool does that sound?! In order to enter the giveaway, you will have to purchase the CS:GO ESL One New York Premium Ticket Giveaway Case. So, don’t miss a chance to see the top of the tops, the crème de la crème of eSports! Both the giveaway and the discount promotion will last until Sept. 30, so be quick!